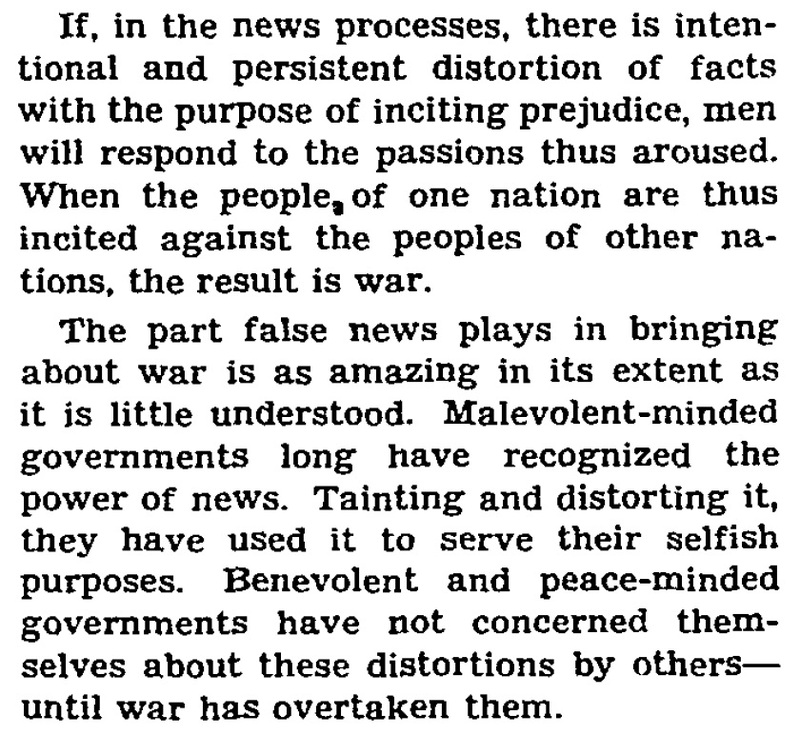 "Vast New Empire Held Hitler Ideal"
This article is part of a series of posts on how The New York Times covered the rise of fascism in the years leading up to World War II. On August 19, 1934, Adolf Hitler held a referendum meant to legitimize his position as Führer by merging the offices of Chancellor and President following the death of President Hindenburg. The referendum came less than two months after the Night of the Long Knives. "He will content himself with peace because war seems unnecessary. But he is preparing for war just the same, because what Hitler calls the best of Europe will never permit Germany to reinstall herself both at Vienna and Berlin, for that would mean tomorrow her appearance at Trieste, Strasbourg, Belgrade, Prague and Memel." PARIS, Aug. 13 — Once again Adolf Hitler has made declarations of peace to the whole world. These declarations have a twofold importance. First, they take the place of a speech on foreign affairs which the Chancellor was to have made after the German tragedy of June 30, but which he abandoned owing to the emotion aroused by that tragedy. Second, these declarations come after President von Hindenburg's death and his replacement by Hitler, now become the Reichsführer of Germany. Hence it is quite natural that the opinion the world over should have been profoundly impressed by the iterations of peace lavished in this interview with the correspondent of an English newspaper. Are these affirmations of peace as reassuring as part of the world's press seems to believe? So far as the immediate present is concerned one may reply "Yes." But for the future—the not too distant future—one feels obliged to say "No." In fact it is less a question of knowing whether Hitler is sincere than of examining the nature of his sincerity. There is always a large admixture of hypocrisy in the temperament of dictators. The biographies of Caesar, Louis XI, Cromwell, Napoleon and Bismarck—to speak only of the dead—furnish superabundant examples. Hitler does not escape this general trait of tyrannical wills. They are obliged to dissimulate long and often to achieve by steps the supreme ascent they planned from the start. Their inner ideals are sincere but they are hypocrites in the external means they employ. To understand and judge them properly, their secret must be laid bare. And that is often only revealed at the very end of their vital effort. This is the case for Hitler, whose progressive rise toward absolute power will astonish only superficial and inconstant minds. 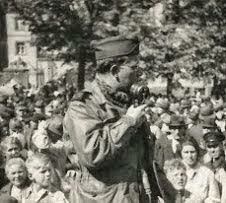 "So far as it depends on Germany there will be no war. Germany will take up arms only if attacked," Hitler declared. We can readily believe that the Reichsführer spoke sincerely to the English journalist. Hitler, who is the incarnation of post-war Germany, does not want a new war because he believes it is unnecessary to the realization of his plan of action, which is the accomplishment of Pan-Germanism. "All that was German must become German again within the unity of the enlarged Reich." This is Hitler's ideal, which also is that of 80,000,000 Germans who are alike devoted to this "Deustchtum" and hail in him a popular hero who knows how to achieve a complete Germany without war. Hitler's secret thus lies less in his plan than in the political art by which he can achieve successive stages by means of a series of gestures apparently completely separated from the other. But if these pictures are fitted together, if these gestures are grouped, it will be seen that the plan is daily advancing. The apparently obscure reply made by Hitler on the subject of Austria and the Holy Roman Empire must be examined in this light. "We shall not attack Austria, but we naturally cannot prevent the Austrians from renewing the ties which once bound them to Germany," he said. "Until 1866 Germany and Austria were united." Hitler thus becomes once more the author of "Mein Kampf," the Austrian-German who cursed the Hapsburgs and the Jews for helping Bismarck to separate Austria from Germany. That is is deepest hatred. His most forceful thought is: Rebuild nothing less than the Austro-German Empire, of which Vienna would become again the historic capital. A holy city purified at last. It is thus that we must understand the stony silence with which he greeted the English journalist's question, "Does Your Excellency contemplate the restoration of the Holy Roman Empire?" Hitler was silent but he did not say "no." The Holy Roman Empire, that is to say a reunion of all Germans around Vienna, capital at once of the Danube, the Rhine and the Oder, that is, in fact, Hitler's supreme goal, the youthful dream which remains for him to realize in ripe manhood. It was in this spirit that he refused the title of President of the Reich, on the pretext that von Hindenburg had made it impossible for any other German to assume it, but for the deeper reason that an Austro-German like Hitler ought to look higher still—up to the succession of the Hohenstaufens that the Hapsburgs and the Hohenzollerns were weak enough to allow to lapse after Sadowa. Such an ambition might seem medieval megalomania anywhere but Germany, but before smiling and shrugging one's shoulders one must remember that the Middle Ages furnish the natural atmosphere for Germany and that Hitler's dream corresponds to the yearning of more than 80,000,000 Germans between Tyrol and Brandenburg and from the Baltic to the Adriatic. Hitler knows that he must wait. He says so and says why, but he does not give up; he renounces nothing. He is not one who sells his birthright for a mess of pottage, even if that mess of pottage should be the Presidency of the Reich. The rest of Europe being too strong to be unnecessarily challenged, the Reichsführer knows how to wait, and Germany will wait with him. Von Papen will be sent to Vienna to keep the ball rolling by embroiling Vienna with Rome and the Vatican. Who knows whether craft will not succeed where violence has failed? Such is the Reichsführer's secret. It is that of Pan-Germanism itself. He will content himself with peace because war seems unnecessary. But he is preparing for war just the same, because what Hitler calls the best of Europe will never permit Germany to reinstall herself both at Vienna and Berlin, for that would mean tomorrow her appearance at Trieste, Strasbourg, Belgrade, Prague and Memel. Peace will remain in Europe only on the condition that Europe knows where Hitler wishes to mount and where he must not be allowed to mount. 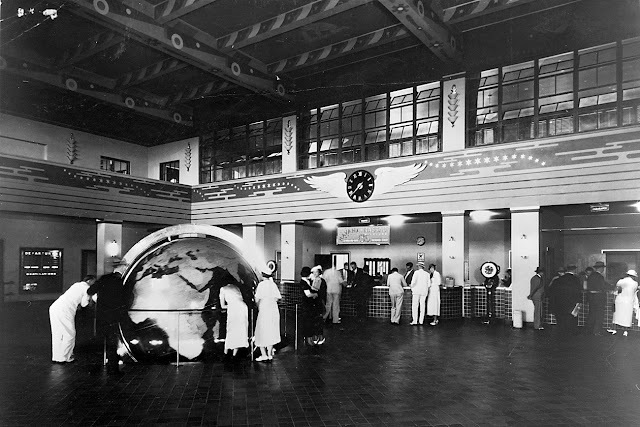 CBS News learned today that discussions are underway here in Washington which might open the Moscow airport to US commercial airlines and possible produce an agreement wherein commercial planes of the Soviet Union would also be allowed to land at international airports in America. Within the past ten days officials in the Russian embassy approached the Pan American World Airways expressing interest in the possibility of PAA passenger flights extending their schedules to Moscow. Pan American Airways is the only US airline presently "certificated" by the Civil Aeronautics Administration to fly to Russia. The company has had its application for permission to fly to the Soviet Union for many years. The company notified the State Department of the new Soviet interest and initial discussions were begun. It is emphasized that these talks are entirely exploratory and have not yet reached a ministerial or ambassadorial level. It is understood that the Russians are asking for a reciprocal agreement wherein Pan American would be allowed a certain number of weekly flights to Moscow in exchange for a similar number of Russian commercial flights to America. Usually such reciprocal agreements are signed in commercial treaties between governments which specify the landing rights, number of permitted flights, and commercial privileges allowed by both parties. This situation is complicated by the fact that the Soviet government is dealing with a private American company. At the present time, the US State Department is not officially involved in the discussions, although it is acting in a consultant capacity and is being advised of all developments. 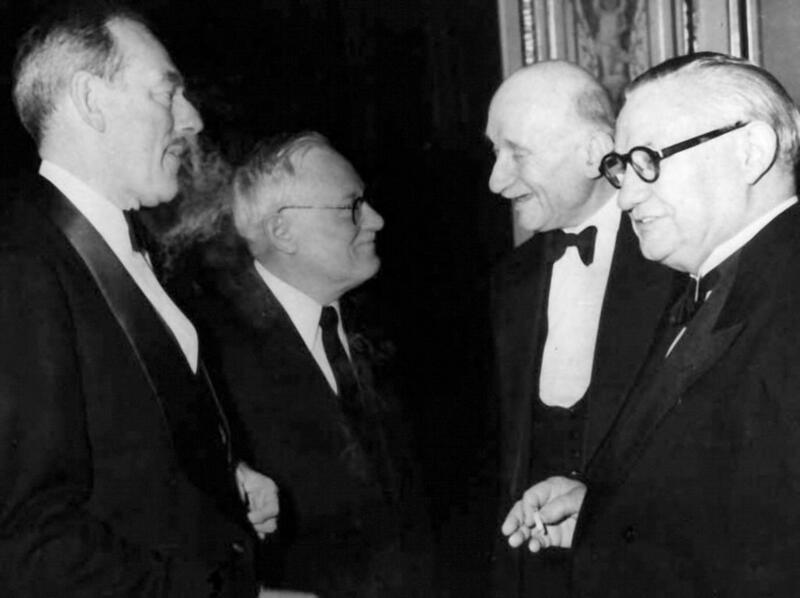 The proposition comes within agreements reached at the Big Four summit conference in Geneva wherein President Eisenhower concurred with the proposition of greater cultural exchange and exchanges between peoples. However, the proposal also is likely to create widespread opposition, not only among anticommunist groups but also from the military who would oppose Russian transatlantic flights as giving Soviet fliers technical training over the North Atlantic aerial routes now regarded as a vulnerable path for aerial invasion or attack of the North American continent. Officials of the State Department and the Pan American Airways are reluctant to talk of their negotiations with the Soviet embassy attachés because they now regard any detailed discussion of the proposal at this stage as premature. London. — (UP) The Admiralty said today that British naval forces have sunk three German ships including a destroyer supplying troops on the Russian Arctic front and had sunk or damaged four enemy ships in the English Channel. The British light forces operating in northern waters were credited with sinking another armed trawler and another vessel carrying supplies to troops on the Murmansk front, in addition to the destroyer. Previously, the Admiralty had reported that four enemy ships were blasted by British warships last night during an attack on an Axis convoy in the Channel. The communiqué said that one enemy supply ship was sunk and another probably was sunk in the fighting. A German E-boat, or motor torpedo craft, was probably sunk, and an armed trawler was set afire, the statement added. 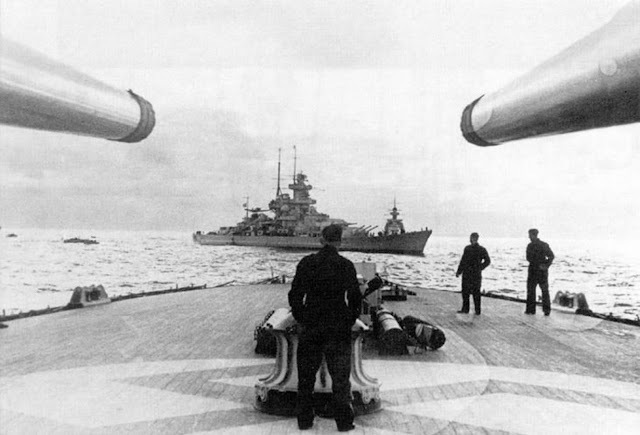 The communiqué was issued after an official statement had said that the sinkings of British and Allied shipping in July and August totaled only a little more than one-third of German-Italian tonnage sunk by Allied planes and submarines—a vast shift in the toil of the war at sea. The shift in Britain's favor of sinkings, which include the sinking or damaging of seventeen Axis warships so far this year, was credited in official sources as partly due to United States patrols in the Atlantic. The crisis in Formosa Strait has exploded the myth our foreign policy has been operating on there for six years and proves the futility of continuing to refuse Red China admission to the United Nations, a veteran Columbia Broadcasting System newsman said here yesterday. 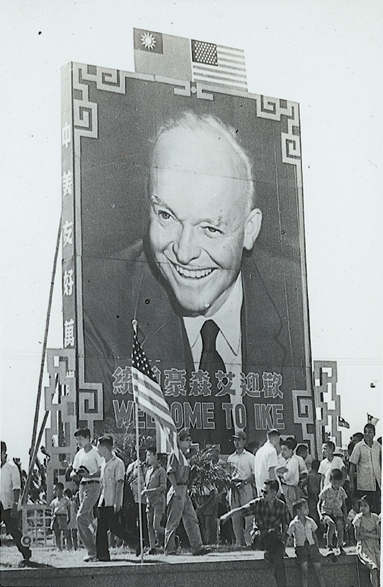 Bill Downs, television news commentator, told the Advertising Club of St. Louis at Hotel Statler-Hilton that Chiang Kai-shek established the "same corrupt government" and the same oppression on Formosa that he had on the Chinese mainland. Mr. Downs said the myth of American foreign policy has been that Chiang would go to the mainland in an invasion. He said Secretary of State Dulles destroyed the myth by making it clear that Chiang is not going to invade the mainland unless a revolution paves the way for him. "Secretary Dulles was right in not being bluffed," Mr. Downs said, "but the point is we shouldn't have gotten into the position there in the first place." He said he thinks there was, and probably still is, good reason for the defense of Formosa but he doesn't think we could defend the offshore islands of Quemoy and Matsu. Mr. Downs discussed the "brinks" of Formosa, the Mid-East, "and, in a sociological sense, the revolution going on with respect to Little Rock." In response to another question, he said he doesn't know who the next Democratic candidate for President will be but added that Adlai E. Stevenson's world trips and Dean Acheson's foreign policy statements "indicate there is a race on for the post of Secretary of State." While Mr. Downs expressed disagreement with and criticism of Mr. Dulles' policies, he voiced strong personal admiration for "the man." He said he thinks President Eisenhower in the field of foreign policy is dominated by Mr. Dulles. Mr. Downs said it has been "inferred by" Meade Alcorn, chairman of the Republican National Committee, that anyone who criticizes foreign policy is "a bit subversive." But he said bipartisan foreign policy became a luxury when President Eisenhower announced in 1952 that he would go to Korea. He said he thinks "this clinched the election for him." 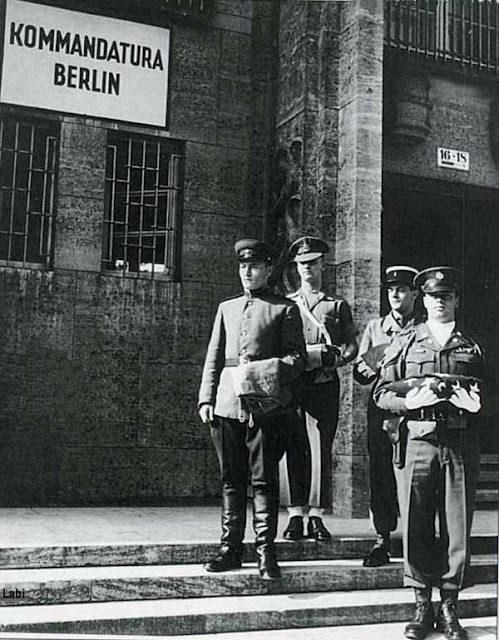 The American, British, and French military commanders for Berlin have just issued an order to lift the Western Powers' counter-blockade at midnight tomorrow night. This new directive follows by about twelve hours a similar order for lifting the Berlin siege issued last night by the Soviet commander, General Vasily Chuikov. Thus the stage is all set for the end of the Berlin crisis. The freight and passenger trains are scheduled to roll over the British-Russian zonal crossing points a few minutes after these directives become effective. Automobile traffic on the autobahns also will proceed at that time. The first fruits of the blockade lifting were felt in Berlin today. In some sectors of the city, electric lights stayed on until mid-morning as gradually public services are restored to normal. Communists propagandists are doing ideological flip-flops in an effort to place the blame for the eleven month blockade on America. Today's Russian army newspaper, Tägliche Rundschau, now says that the reason the blockade has lasted so long is that the United States needed the crisis in order to promote the Atlantic Pact. Blockade Day, Thursday, will be a holiday for West Berlin. The Western military governors, including General Clay, will attend a special meeting of the magistrate. Businesses are closing at three o'clock. Schools will have only short assemblies and then kids will get the rest of the day off. However, we are reminded today of the cost of the airlift. Last night a British Lancaster tanker plane returning from Berlin to Hamburg crashed in the Soviet zone north of here. All four crew members were badly injured, two of them critically. They are now being cared for in a Russian military hospital. The Russian army newspaper Tägliche Rundschau this morning threw a propaganda monkey wrench into the East-West relationship with a surprising accusation that the Western Powers have violated their part of the agreement and failed to lift the West's counter-blockade of the Soviet zone. 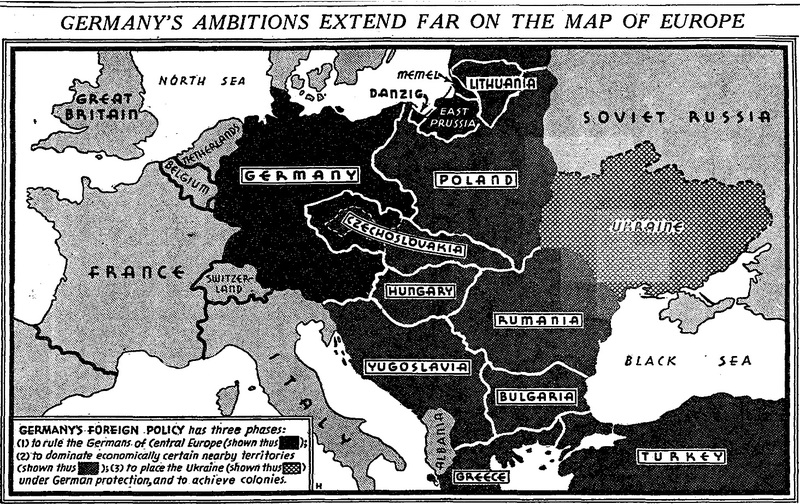 The Communist newspaper, quoting "well-informed circles," charged that the American, British, and French zonal authorities had not taken any measures to lift the ban on trade relations with the Soviet zone and complained that "as yet no goods have arrived from Western Germany." Lawrence Wilkenson, economics adviser, says that the Rundschau statements are untrue. The Western Powers have lifted their counter-blockade, he said, and West zone businessmen and industries are now permitted to make contracts with firms in the Soviet zone. 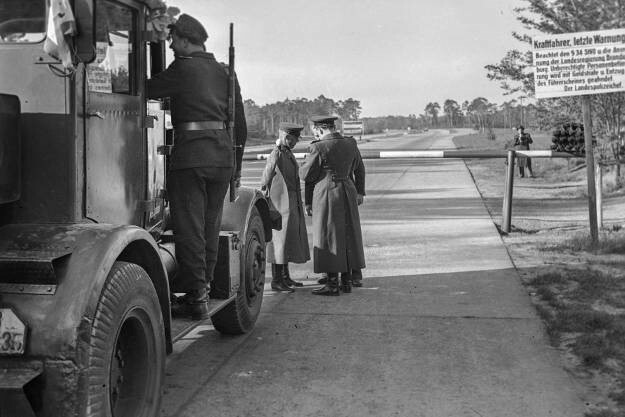 British authorities said the Rundschau accusations are false, and that in the Hamburg area alone thirty to forty trucks a day carry goods to the Soviet zone. The Russians maintain that lifting the blockade should mean automatic resumption of trade on the basis of contracts in force when the blockade was clamped on eleven months ago. The Americans say that these old trade contracts are invalid—most of them ran out in 1948—and that new contracts must be signed in light of increased costs and prices. 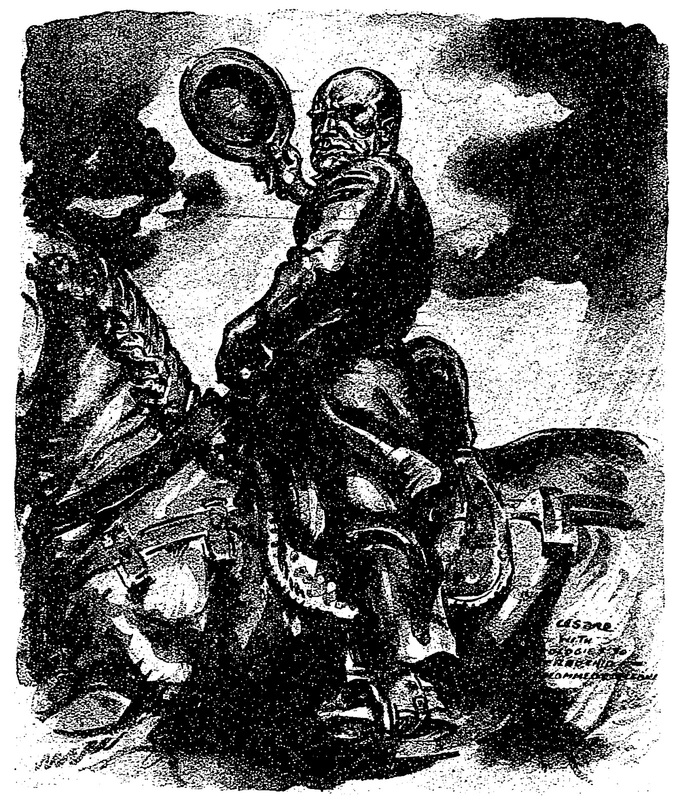 The Rundschau editorial carried an implied threat that the blockade may be reimposed because "the agreement cannot only be fulfilled by the Soviets." Wilkenson said that conferences with Russian economic authorities over the dispute were held yesterday and will be continued today. Meanwhile American, British, and French authorities in Berlin are studying a similar situation regarding goods leaving Berlin for the West. The Russian authorities demand that all firms exporting goods from this city have a Soviet license to travel across their zone. This technicality, which is entirely legal, could mean a strict control of the kind of articles shipped westward and, if applied, could force Berlin manufacturers to ship their goods eastward. We are finding out that there is more to lifting a blockade than the raising of a road barrier. Berlin naturally is taking great interest in the foreign ministers conference in Paris. You might say that this city is taking a "clinical" interest in the proceedings. The Berlin viewpoint on the conference is very much the same as that of a patient on an operating table who watches a consultation of his physicians who are about to operate on him. In Berlin there is the same anxiety, the same fear, and the same hope of a man about to undergo major surgery. At the first of this week there was much hope of success in Berlin. 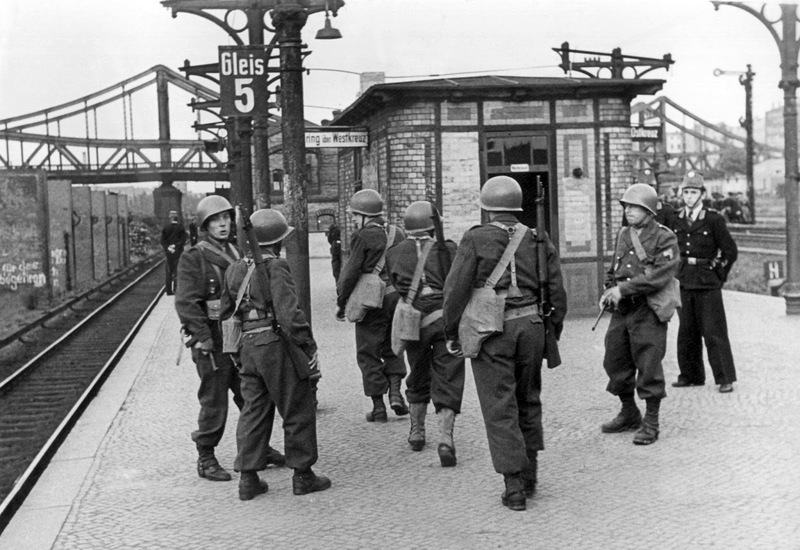 Even two days before the ministers convened, some 12,000 anti-Communist rail workers began the biggest strike in Berlin's postwar history. The reports of the first meeting of the foreign secretaries came in last night. What was Vyshinsky doing, how did he act, the Germans asked. And the first reports were encouraging. One dispatch said: "Mr. Vyshinsky appeared smiling and joking and quoting Russian proverbs of which he is so fond." This was the mood indicated by the New York agreement on the lifting of the Berlin Blockade. Trucks and trains and barges were beginning to pour into the city, and although the anti-Communist strikers were slugging it out with the Soviet-organized directorate of Berlin's elevated railway, there was hope that maybe the strikers and the Russian occupation authorities would catch the mood of friendliness; that this local East-West struggle would be called off or suspended while the Big Four was meeting to decide the fate of Germany and Berlin. But instead of getting better, matters began to get worse here. At best, the strike of the Berlin rail workers is a complicated affair, but it is a situation that has its very roots in the economic and political problems that the conferees in Paris are trying to settle. Berlin, like Europe, is split into an Eastern and Western segment. Also like Europe, Berlin's main communication system, the elevated railway, connects both segments and is vital to the life of the city. Some 16,000 of the elevated rail workers work and live in the Western half of the city, but they get their pay in the currency of the Soviet section—a currency, incidentally, that has about one quarter of the purchasing power of the West mark. The UGO, the anti-Communist trade union formed during the blockade, voted last April to strike but held off for six weeks to see if some solution could not be reached. When the blockade lifted, they decided to strike. They maintain that if the Russian-controlled elevated railway collected its fares in the American, British, and French sectors in West marks, there would be more than enough revenue to meet their Western payroll. The elevated now collects fares only in East marks. But the matter goes deeper than that, for it would also mean an official recognition from the East of what the Russians originally called an "illegal currency." And this matter was one for settlement by Mr. Vyshinsky. Meanwhile, the Berlin elevated strike deteriorated into a series of clashes between Western anti-Communist strikers and Soviet-directed railroad police and strikebreakers who moved into elevated stations throughout the Western part of the city. The railroad police, including many of the Russian-recruited "people's police," brought along their guns. At least one man was killed, a number of others wounded. And rightly or wrongly, the Berlin strike crisis, in the eyes of the people here, has become a kind of test case of Soviet sincerity regarding Germany. Although we here who have been dodging East German police bullets in covering the strike story might be considered too close to the local situation to see the big picture, every American, British, and French official in Berlin with whom I have talked agrees that the actions or failure to act by the Soviet military government this past week has violated the spirit of the New York agreement lifting the blockade, and that the actions of the Communist-directed police in trying to break the strike of the West Berlin rail workers reaches a new high in Communist cynicism in their efforts to wipe out opposition from the people of Western Berlin. These officials say that it is repetition of the situation that has risen time and again in dealings with the Soviet Union—agreement in principle that breaks down when these principles are to be carried out. And if that is what is going on in Paris right now, then Berlin should be an example to guide the foreign ministers in their deliberations. First, the incongruous situation arose in which advocates and leaders of a "workers' state"—the Communist proletarian system—used force to break the strike of another group of working men, a section of labor which they hope to win over in what they call their tide of history. Second, there is no doubt that the Soviet military government at any time could have stepped in and ordered settlement of the strike and saved the life of one man, injury to hundreds of others, and prevented economic dislocation that must hurt East Berlin as much as it does the Western part of the city. They did not and have not chosen to do this. Third, Russian transport officials have refused virtually every offer of cooperation the Western Powers have asked for in solving the dilemma of moving rail transport into the city. When four British and American passenger trains were stranded in Potsdam a few miles west of Berlin, the Soviet authorities mysteriously disappeared. They would give no answer for requests to send trucks and buses for the passengers. And there has been the same negation of every effort the British and Americans have made to start rail traffic moving again. On the credit side of the East Berlin ledger is the fact that the Russian-controlled railway directorate did finally offer to grant West mark pay to the strikers. But UGO workers, fearing a trap, have refused to return to work until their union is recognized, until they have assurance that there will be no reprisals, and that rail workers formally discharged for political reasons will be reinstated. There is no solution either for resumption of rail traffic or the end of the strike in sight right now. But if the present crisis continues in Berlin, Mr. Acheson, Mr. Bevin, Mr. Schuman, and Mr. Vyshinsky may hear officially of it in Paris, according to reports here. They are being advised on a day-to-day basis of the progress of events here. If the Russians are sincere in their appeal for a conference to reach agreement on the German question, then there is another proverb that can be quoted to him. It is found in all languages: "Actions speak louder than words." 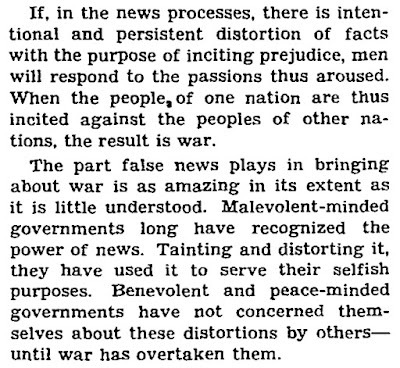 This article is part of a series of posts on how newspapers covered the rise of fascism in the years leading up to World War II. In the United States Mussolini's popularity was to a great extent a product of the press. Most newspapers outside New York City relied on wire services or foreign correspondents for information, and in the early years these sources were generally friendly to Mussolini and his new regime . . . The most thorough coverage of Italian events could, of course, be found in the New York Times. The Times' correspondents writing on Italy included Arnaldo Cortesi, Edwin L. James, Arthur Livingston, Walter Littlefield, and Anne O'Hare McCormick. With the exception of Livingston, these journalists wrote approvingly of Fascism and its leader . . . yet editorially the Times showed less inclination than its writers to support Fascism. 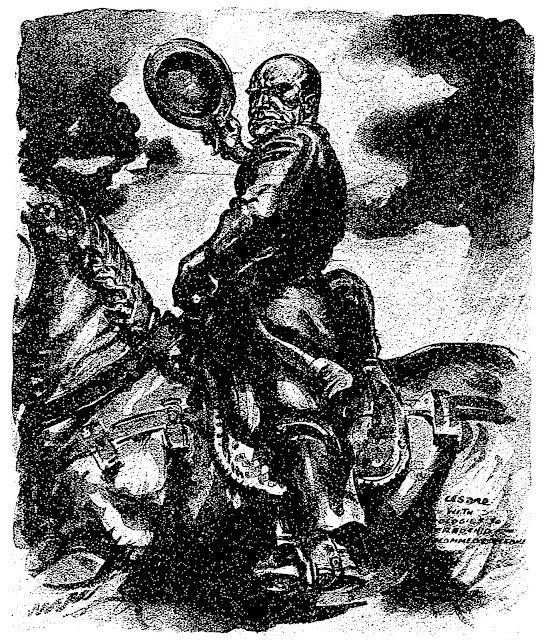 Although the Times, like most papers, condoned Mussolini's seizure of power, by the mid-twenties the editors became disenchanted, seeing "one more parallel" after another between Fascist and Soviet totalitarianism. Nevertheless, the New York Times' treatment of Italy brought denunciations by anti-Fascists in the United States were convinced that Cortesi, McCormick (and in the thirties Herbert L. Matthews and C. L. Sulzberger) and associates were championing the cause of Fascism. I had not been in the country a week before discovering that what Americans find most difficult to swallow in Mussolini and his movement is what the Italians gulp down with the greatest gusto. They love his swashbuckling and blaguer. They delight in his impudence to a Parliament which they all despise. They are enraptured when he reminds the recalcitrant that it is only by his forbearance that they exist; when he threatens his enemies with an army held in leash only by his good pleasure. Boasts of force feed their love of power and their disdain of weakness. At the moment when dyspeptic Europe ceases to struggle with the digestion of more unbaked democracy than any continent was ever called upon to swallow before, when England recalls the Tories and France remobilizes the chauvinists, when Prime Ministers of a German republic begin to invoke the empire, when Turkey stands pat, when Albania clamors for a Scottish King, when all the new republics are dying of liberty and professional politicians resume everywhere a business of which amateurs are sick and tired, Mussolini the Autocrat mounts the tribune of the Caesars and creates one of those exciting diversions which sometimes change the course of history. He shouts aloud all the dark and stabbing doubts of democracy that secretly assail those who have tried it. He plays up a hearty and unsanctified nationalism against the pale virtue of co-operation which the enlightened have been trying to cultivate as a super-national grace. He dares to call a Legislature in public what all men call it in private. He arrives at the hour of the sharpest decline in the stock of the liberals and uses language about popular government that relieves the pent feeling of its best friends. He finds Italy self-governed to a deadlock, in a literal paralysis of democracy, and sets the machinery going by turning out the tinkerers and running the whole works himself. His presence at the head of an enlightened State is therefore in itself a challenge. Is he a symptom of the disease of politics that infects civilization, or is he a remedy? Is he autocrat, liberator or merely demagogue? How far is he going, and where? After eight months of practically unlimited authority what has his Government accomplished? Enough to prove one-man power to be less dangerous than the powerlessness of many men, to show that a general-manager form of control may be applied to a nation as well as to a town? Is he, in a word, as right as he is popular in proceeding on the assumption that people really desire government more than they desire a voice in government? These are questions that are drawing to Rome reporters and observers from the ends of the earth. Political reviewers, journalists, politicians, bankers, business prospectors, reformers, flock here to make their varying deductions from what they see of Italy under the Fascista regime. They gave it six months last October when the Black Shirt army made its sensational raid on Rome and seized the Government from a panicky Parliament and an eagerly acquiescent King. Now that it has stood that test they begin to suspect that there is something more in it than a scene in Italian grand opera, and inquirers arrive to satisfy what is apparently a universal curiosity in regard to its achievements and its intentions. They gather in the official and unofficial ante-rooms where one waits, sometimes vainly and always long, for different brands of ill-prepared information. They study the budget figures as presented in the recent statement of Minister of Finance de Stefani, perhaps the ablest member of Mussolini's rather too-personal Cabinet. They interview the President of the Council if they can catch him between his almost daily dashes to various points of the political battlefront. They talk to the officials who are primed for such inquiries, an industrial magnate or two, the handy head waiter, who speaks all languages. If their week's tour of inspection allows them to see anything they are not shown, or are not looking for, they take a glance around the country. Seldom by any chance have they the time of the words or the curiosity to talk to the people. Yet in Italy even more than in most countries there is no use trying to study Fascismo and its chances of success without some understanding of the Italians. I had not been in the country a week before discovering that what Americans find most difficult to swallow in Mussolini and his movement is what the Italians gulp down with the greatest gusto. They love his swashbuckling and blaguer. They delight in his impudence to a Parliament which they all despise. They are enraptured when he reminds the recalcitrant that it is only by his forbearance that they exist; when he threatens his enemies with an army held in leash only by his good pleasure. Boasts of force feed their love of power and their disdain of weakness. Like Barrie's "Tommy," with whom they have no sentiments and many tastes in common, they adore a masterful man. They have always flourished under a strong hand, whether Caesar's or Hildebrand's, Cavour's or Crispi's. That is because they are not a people like ourselves or the English or the Germans, loving order and regulation and government for their own sake, however weak their Ministers. Experience has taught them to distrust all government and instinct makes them resent the intrusions of authority. They have never been united except by force or by disaster, and they follow a leader as long as he leads, and no longer. Mussolini is secure while he shows no fear. When his critics accuse him of unconstitutionality they only recommend him the more to a highly civilized but naturally lawless people. 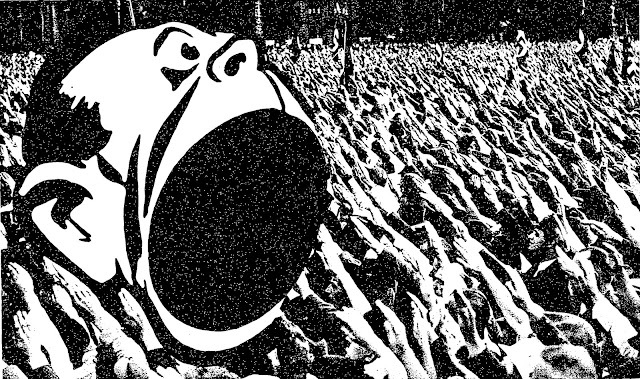 The youth, the bravura, the political intrepidity which the old politicians call inexperience, are the strength of the Fascisti. Look at the great portraits that strut among the meek Madonnas and suffering saints of all Italian galleries—Caesars, condottieri, courtiers, Cardinals—and learn how these people understand arrogance. Only last week a friend bitterly disillusioned with a Government that had promised the millennium and only increased his taxes came to me after a speech of Mussolini's in the Senate completely reestablished enthusiasm. "Magnificent!" he exclaimed. "He said that he made explanations but that he owed none. He declared that with sacrifice and solidarity in two years he would make over Italy. He snapped his fingers at all the barking canaille. He says he may be shot, but it does not matter if he is hit going forward instead of going back. At least a man can respect himself in following such a leader!" Whatever Mussolini does not know, and there are said to be many things not dreamed of in his philosophy, he knows his own people. He knew when to turn on the drama, and I believe he will also know when to shut it off. No citizen of a strictly limited democracy like ours can imagine the relief of being ruled by a good, strong, forthright autocrat after the absolute, unbridled, impossibly logical form of self-government suffered in Italy. The people were already yearning for a dictatorship when Mussolini appointed himself a dictator. So far from a usurpation of authority against the popular will, his march on Rome was like an answer to prayer. The professional politicians had had their chance. They had all failed. Even the Fascisti could do nothing in the Chamber. They were a small group in a helplessly divided body—thirty-two members out of 535. Mussolini only made himself receiver for a Government in bankruptcy. It must be remembered that in that crisis, when the Government acknowledged its incapacity to function, when anarchy was held down only by Mussolini's army, the Fascisti could have done anything they chose with the country. Everybody admits that the Government was to be had for the taking. Mussolini could as easily have led to power the Socialists or the Communists as his battalions of fighting nationalists and patriots. He had under absolute control the best young manhood of Italy, an armed force of half a million unpaid volunteers, mobilized by his magnetism, dedicated and disciplined to his will. Wherever he led they would have followed. There are many who think that he could have overthrown the monarchy as easily as he reestablished it. Two-thirds of the army was already Fascist. There might have been a republic, even without civil war. Anything might have happened; all that did happen was that Victor Emmanuel hastened to make the Fascisti constitutional by inviting them to form a Government. The bankrupt Parliament conferred all its powers upon the Fascista leader for a year, and both King and Prime Minister were heartily cheered by the people for their resourcefulness in making the realities so different while leaving all the names the same. That very night the Fascista forces were out of Rome. They marched to the Capitol and dispersed as soberly and exaltedly as they came. Many were country youths on their first visit to the metropolis; they were tired, dusty and dry after long marches over hard roads. Yet with all the cafes open there was not a case of drunkenness; there was not the slightest disorder and not a murmur against the unwelcome order to return at once to their homes. They showed themselves and departed, but they got what they came for and thus saved their country as thoroughly, and more neatly, than if any one of them had the poor judgement to oppose them. The leaders of Italian constitutional liberalism, who are more anxious than the best American journalist scenting a story to find out just how far Mussolini is going, declare now that the Government was about to assort itself and the Parliamentary confusion was on the eve of clearing when he made his parade of revolution. They complain because he embarked and proceeded upon his unknown course without any guidance from political experts. They forget that he had watched the experts being expert for two years from his seat on the Right of the Chamber of Deputies; and the restraint he exhibited once he had precipitated the crisis they could not avert was hardly more remarkable than their instant docility to his demands. They submitted to the most contemptuous lambasting any Parliament has ever received from the responsible head of a Government. Certainly nothing but the lack of any alternative could have induced them to endow their castigator with absolute powers. He continues to abuse the Parliament, but so far he has not abused the mandate he forced from them. He talks about upholding the traditional "jus murmurandi," a right as old as Roman law, but all criticism angers him and he will not have a word of contradiction in his own ranks. He does not suffer any opposition patiently, and though he cannot expel his political opponents, he does not placate or reassure the worried constitutionalists when he reminds them that except for his intervention there would be no Constitution to save. He is secure in the fact that, by whatever coercion of circumstances he arrived where he is, he is there by appointment of the King and consent of the Parliament, so that if he is a dictator he is so by all the constitutional authority there is. Two-thirds of his grant of power has now expired and many of the observers who come to find out what he has done with it, to estimate how one-man rule works in a modern State, are inclined to be disappointed that he has not created the safe heaven the Conservatives hoped for or the despotic hell the Radicals predicted. I have heard more than one trained interpreter of events assert that the Fascista Government has been advertised for a great deal more than it is worth. It has done few of the things that look impressive in a report. But it has performed one miracle. And because miracles are rare in a world without magic, that wonder, I think, should be celebrated above all its failures and achievements. The miracle is a miracle of conversion. Here at last is a Government that has transformed a people. If that sounds too strong, I can only say that it is the first and only term that does justice to the first impression made on one who left Italy two years ago and comes back today. Then it was a land visibly running down, with a kind of hand-to-mouth administration, so that one never knew today where tomorrow's Government was coming from. There was no assurance that anything was going to work—railroads, telegraphs, trams, posts, power plants, bakeries, any kind of public or private service. One tried a water faucet skeptically; one bet on the chances of getting a train. Life was a daily gamble, sporting enough for the traveler but pretty desperate for the native. The people were all either idle and rebellious or idle and dispirited. The war had left them bitter and poor; subsequent events had made them lose pride in their country and respect for their Government. Everywhere was slackness, despondency, recklessness. One left confusion and fear, and under confusion and fear, apathy and discouragement. One returned to a country cheerful, industrious, interested and orderly. All the railroads were running and running on time. There was not even the threat or shadow of a strike. There has not been a single strike in any part of Italy since the Fascisti came into power. The streets were clean, the roads were being mended, the enlivening sounds of construction were heard everywhere. Workers were singing at their work. It was like a land recovered from a blight. Was this Mussolini's revolution? I asked myself, contrasting the friendly dispatch of the customs inspection at Naples with my last hideous experience at the same port. "We have a Government now!" boasted a Neapolitan, and when I remarked on the transformation to the first Roman I met, he assured me that I would be more amazed the more I saw. "It is hard for a stranger to understand," he said, "but Mussolini has actually changed the minds and spirit of the people. He has dramatized work and sacrifice and national pride and made them popular. Go out to the San Lorenzo quarter, where a few months ago a man was shot for flying the Italian flag. Now they are all patriots there, all working, contented, shouting for Mussolini. I don't know what happened to all the revolutionists." I sought out one of the still-existent Socialist headquarters for an explanation of the mystery. It was the quietest retreat I found in Rome, deserted except for the voluble and agreeable executive. He admitted that his comrades were dispersed, for the moment shorn of their thunder, infected by nationalism, and that some had basely surrendered to the bourgeoisie. "Are you as free as ever to organize, to hold meetings, to make propaganda?" I asked, and when he answered with a qualified affirmative, I inquired if it was true, then, as I had heard in America, that the government had instituted a virtual censorship of the press and public opinion. "Hardly that," he replied. "We publish our papers just the same as ever. The Government has a strong press, which specializes in daily advertisement and adulation of Mussolini and keeps the people stuffed with all his promises, like the reform of the budget and the proposed electoral iniquity. Mussolini punishes all his own people who open their mouths against him. There have been local examples of suppression of newspapers for criticizing the Fascisti, the most notable example being the powerful Corriere della Sera, which was suspended for a day in Milan. But there has been no general censorship. The Italians would never stand for it. And Mussolini won't go so far now as when he was making war on us. He is too anxious to stay in power. As for us," he shrugged, "well, we are out; we have been outraged and persecuted and weakened. But of course we will come back. Mussolini has the people hypnotized, but he has been given so much rope that he is sure to hang himself in the end." The Fascisti have done things which the political reviewer finds more interesting than these trifles. They have ferreted out the tax dodgers and forced 400,000 citizens to pay income taxes who never paid before. They have simplified and reclassified taxation. They have made a valiant attempt to deal with the bureaucracy that stifles all European States. Several Government departments have been closed, the personnel of others reduced and various administrative economies have been effected. The number of State employees actually discharged, however, is much less than was promised. There is a limit to the number of enemies the most fearless leader can indulge in! The new budget proposes to reduce the national deficit to one and a quarter milliards of lire, about four milliards less than it is today. Committees are working on educational reforms, on a reform of the electoral system, on new provisions for constant emigration which the few natural resources of the country and the rapidly growing population make necessary. But these are mostly in the future—great schemes which all Governments dream about in their youth and few ever grow old enough to realize. The project for electoral reform is interesting enough to be considered in another article. It will bring an issue to the fight Mussolini must have with the constitutionalists and measure the strength of the growing opposition to his policies. As outlined, it is a novelty, never tried before in any country, and it will probably never be tried again even in this if it succeeds in its purpose of putting the Fascisti in power for the next four years. Not even if all the proposed budgets balance, and if Mussolini works out a formula of economic salvation for his country, a problem he has not even tackled, his greatest reform will still be the one he has already accomplished. He may in time find experts to create industries and outlets for trade; the creation of a national spirit and the restoration of order and confidence in Government will remain his personal triumph. Always remembering that Italy is full of Italians and not Americans or French or Germans, it is nothing less than amazing to watch the whole country trying to be like him. By working fourteen hours a day, by living hard and taking hard exercise, by talking always of courage, strength, law, discipline, he has inspired among Italians a cult of the strenuous life such as Roosevelt once popularized in America. He calls himself "the trustee of the youth of Italy," and he makes the young men, the ex-soldiers, university students, schoolboys, farmers' sons, feel for the first time that the country is theirs, and that it is their job to work for it and their responsibility to see that it is well ruled. Discipline, the least favored of all virtues among his countrymen, is the favorite word of their leader. Not even a Church supposed to specialize in discipline has been very successful in imposing it on its Italian adherents. In other countries Catholics are orderly and well organized; in the center of Christendom, if a foreigner can judge by observation, they seem to take the liberty of worshiping God in the manner they please. The discipline of the Fascisti, now the national militia, is therefore no mean achievement. It is true that in this army Mussolini wields a despotic power. He is called and is the "Duce"—leader whose word is law, who brooks no insubordination and expels his best friends for a whisper of contradiction or a gesture of disloyalty. He includes the Church in his policy of restoring what he calls the "hierarchies," of bolstering up authority wherever he finds it. The first and not the least astonishing thing he did as Prime Minister was to take the King and all his Ministers to mass at the Church of Santa Maria degli Angeli, the basilica carved out of the Baths of Diocletian by Michelangelo. "Mussolini was the first to make a Christian out of the Unknown Soldier," smiled a great Roman Cardinal, whom I asked how the ex-editor of Avanti was doing as an apostle of religion. "Until he ordered his Ministers to their knees to pray for the soul of the dead warrior, it has been in Italy a pagan cult, like the ancient worship of the god of war. I don't know how much is religion and how much is statesmanship," the Cardinal added, "but it is a popular novelty here to have a government which refers with respect to the Vatican, raises the image of Christ in the schools, and acknowledges what is, after all, 'the religion of Italy.'" The new Government cultivates the spectator. One of the reasons for its popularity among a people smarting under a sense of being undervalued in the world is that it gives them at last a leader who is a headliner, so to speak, able to command public attention and keep Italy on the front page. And Mussolini concentrates most of his efforts on healing the wounded amour propre and building up the morale of the nation. He makes politics a kind of noble show and keeps enlivened and interested the audience, so bored by his predecessors. During the last few weeks, scenting that he is at the beginning of the second and most perilous phase of his regnancy, the phase of criticism, disappointment, reaction from the high mood, he has made triumphal excursions to all parts of the country. He is far less arrogant in addressing the people than he is to the politicians and to the various financial, journalistic and Masonic rings that used to rule the country. He is wise enough to know that the chiefs of the old order will always be his enemies, and that it is among the people that he must find his friends. And nothing is more surprising in a skeptical race than the popular belief in this peasant who preaches aristocracy and this ex-Socialist who defends hierarchies. He started out with a following of the adventurous young of the middle class. Now the middle class does not shout for him so unanimously as in the beginning. They find that Fascismo is not a property defense league; it makes property pay. The workers are reassured by the same discovery. I suspect that a good many of the lost Socialists may be found among the Fascisti. On the other hand, there have been desertions as well as expulsions from the ranks of the Fascisti. The material out of which revolutions are made is not so good for making reforms. Mussolini is said to have confided to a friend that he will have to disgust 30 per cent of his followers in order to go on with what he has to do now. In the United States we have a democracy, which means that the majority of people, acting on motives which often have nothing to do with government, freely elect officers who do not give them what they want. And in Italy a strong minority has elected itself and is giving the country the kind of government the majority want but did not know how to get. In other words, the will of the majority seems to be better satisfied in Italy at this moment than in the United States. The Italians certainly enjoy a personal liberty and freedom from regulation beyond even our conception of liberty. I suppose peoples as well as Presidents and Prime Ministers can't be opportunists, and that the dictatorship of Mussolini, prevailing by the will of his people, may be classified as a democratic expedient. He is a reaction against nothing but inaction, and proves no more than that when a leader appears the people will follow. They will chafe after a while under his heavy pose of inflexibility; they will tire of the fascinating spectacle of watching him do everything himself. Perhaps, having performed one miracle, in that day he will have other incantations to work other wonders. It is not easy to say where he is going, but it takes no prophet to predict that two elemental and powerful popular appetites, the hunger for leadership and curiosity as to what happens next, will carry him at least beyond his year of trial.